After four years, Professor Chris Harris stands down as head of Modern Languages & Cultures this month, and looks back on a series of successes for the department. Despite the challenges faced by modern languages departments across the UK’s higher education institutions, Professor Harris’ leadership has seen the department rise up university league tables and sustain its level of recruitment – exceeding targets in some areas. 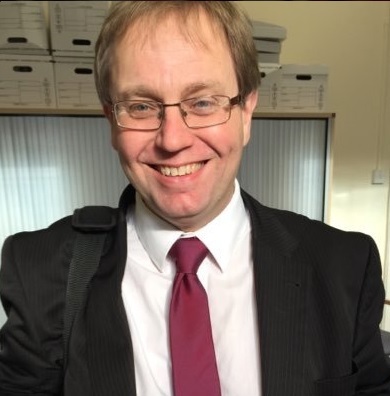 Awarded a personal chair in December 2014 in recognition of his leadership of the department, Professor Harris is delighted with the health of the department. 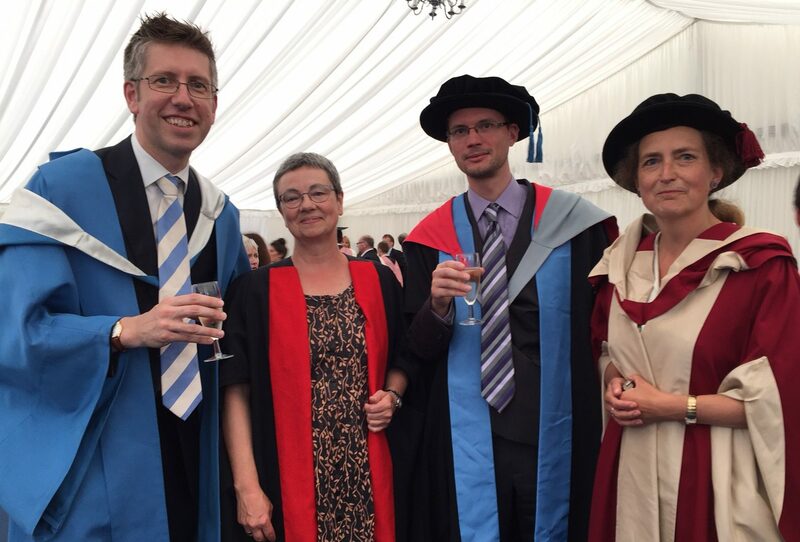 Building on the work of his predecessors, Professor Eve Rosenhaft and Professor Charles Forsdick, Professor Harris can point to the improved performance in the Research Excellence Framework of 2014, as well as a vibrant research culture in the department and an active postgraduate community. Moreover, Professor Harris – a specialist in Mexican contemporary writing – has been instrumental in the development of Basque Studies at the University of Liverpool. Beyond the department, Professor Harris has been very active in supporting his own discipline, Iberian and Latin American Studies, not least as the Hispanic & Lusophone Representative on the University Council of Modern Languages. Over his headship, he has continued to act as an external examiner in Spanish at Ulster University and Aberystwyth University, as well as serving as the conference secretary for the Association of Hispanists of Great Britain and Ireland, organising their annual conferences in Galway, Exeter, and Northumbria. Beyond these roles, Professor Harris has acted as an external consultant for the Irish Research Council and for Pearson in their review of AS and A-level examinations. With the responsibilities of the headship now passing to his successor, Professor Harris is looking forward to a year to devote to his research, and he leaves (but only temporarily) a grateful department behind him. 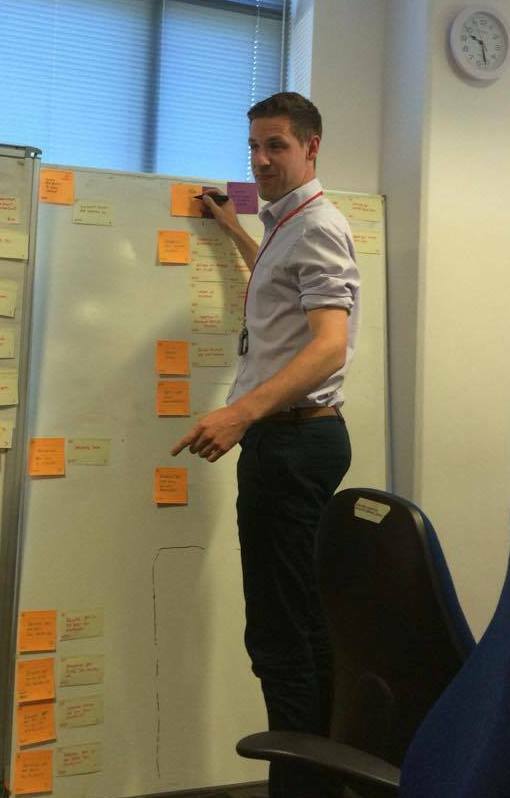 Rob Adams BA (2006, Combined Honours in French and European Studies) came up to Liverpool from Birmingham, and currently works for Lockheed Martin, the aerospace, defence, and advanced technologies company that operates across the world. This seems like a long way away from his time in the Cypress Building. Whilst in Liverpool, Rob took a range of modules, from mediaeval literature through to the history and politics of the second world war. Rob was particularly interested in film, and achieved his best marks in the final-year modules devoted to French cinema, and to aspects of realism in European film. 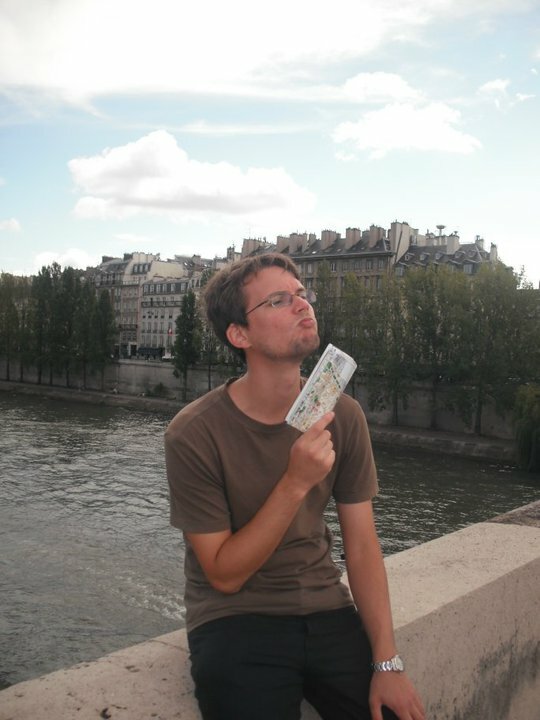 For his year abroad, Rob was an English language assistant at two schools in eastern Paris; the Lycée Henri Bergson in the 10th arrondissement and the Lycée Edouard Paillet the 18th. This meant that he spent much of his time travelling between the two schools, and crossing the Parc Buttes-Chaumont. Rob notes that he learnt a great deal during this year, and would recommend it to future generations of students. Through access to some excellent tutors, a wide-ranging syllabus, and a well-stocked world cinema library (tucked away on ground floor), I left Liverpool a much more well-rounded and confident individual. Rob currently works as a Technical Project Manager for Lockheed Martin, where his team primarily focuses on government infrastructure projects. On a day-to-day basis, he manages resourcing, stakeholders, development teams and project budgets. As the summer continues, Modern Languages & Cultures staff continue to undertake their research. Dr Lyn Marven, Senior Lecturer in German, will be completing an article on contemporary author Ulrike Draesner’s short stories, for a volume of essays which she is co-editing together with Professor Karen Leeder (New College, Oxford). The essays were presented at a symposium held in Oxford in April on Ulrike Draesner’s work, attended by the author herself. Contributors from the UK, the USA, and Germany discussed aspects of Draesner’s literary fiction and poetry, her translations and self-translations, and her essays on literature, and were treated to a sneak preview of Draesner’s forthcoming radical modern reworking of the medieval Nibelungenlied and some exclusive new writing by the author in English. Dr Marven’s chapter will focus on three volumes of short stories, putting these in the context of the boom in short story writing from the mid-1990s onwards, and focusing in particular on Draesner’s experiments in narrative form and her playful use of language. In addition to writing about the short stories, Dr Marven also intends to translate one short story, ‘Rosa Käfer’ (Rose Beetle), which is a modern take on Kafka’s classic story Die Verwandlung (Metamorphosis), and which Dr Marven already translated an extract from for an Encounters: Writers and Translators in Conversation Event. 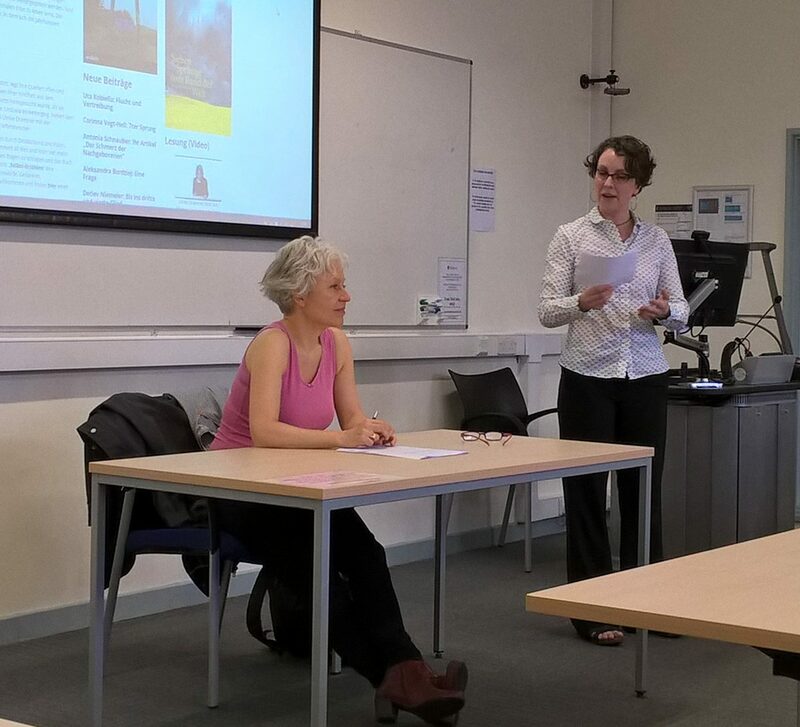 Ulrike Draesner came to Liverpool in May to give the annual Collinson Lecture, where she talked about memory transmission in literature and traumatic family histories. Staff and students from Modern Languages & Cultures came together this week to celebrate the definitive end of another academic year with the graduation ceremony for the class of 2016. Held on a hot afternoon in the Philharmonic Hall, the University formally conferred degrees on those who had completed their studies in the department. In front of their families, friends, and with the academic staff sat on the stage, students from all the subject areas within the department received their degrees from the Vice Chancellor, Professor Janet Beer. 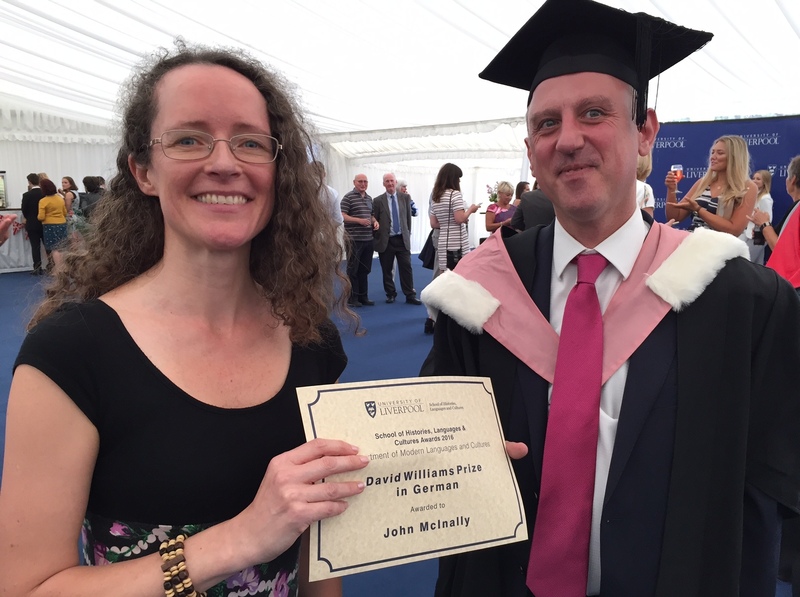 In addition to the scores of students who received their Bachelor of Arts degrees, this ceremony saw Ian Gwinn obtain his PhD in German, and the Pro-Vice-Chancellor for Education, Professor Gavin Brown, formally presented Ana Bela Almeida with her Faculty Learning & Teaching Prize. During the ceremony, Professor Mary Beard was awarded an honorary degree in recognition of her contribution to the study and teaching of Classics. 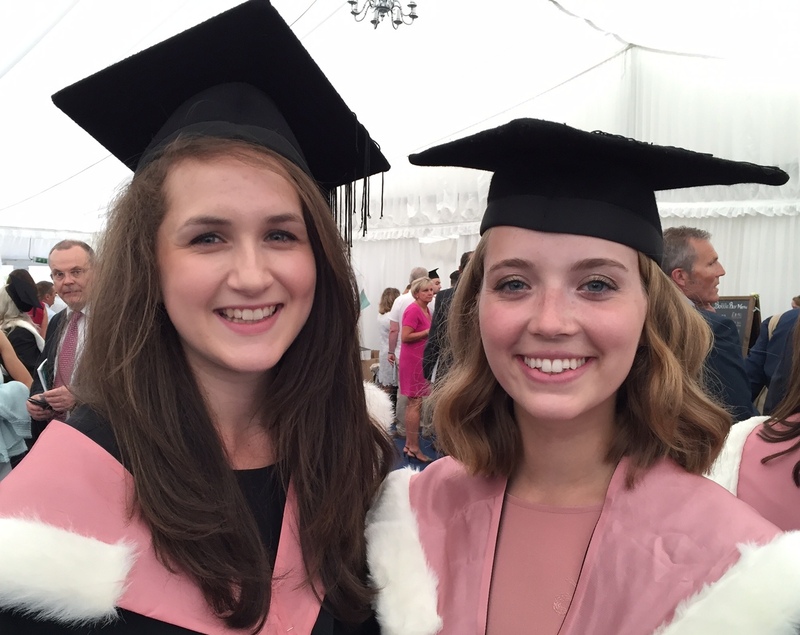 In the slightly fresher climate of the marquee on Abercromby Square, Professor Claire Taylor awarded the department’s best students prizes for their outstanding performances in various aspects of their studies. Although graduation is a time for celebration, it is a bittersweet experience for staff and students alike. Graduates now scatter across the globe, not only going in separate directions to their friends, but leaving their tutors behind in the lecture theatres and seminar rooms. Nevertheless, the department is proud of its students and their achievements. Simon Hodgson BA (2010, European Film Studies & German) came to Liverpool from Eyam in Derbyshire, but as a direct consequence of his degree now finds himself living in Berlin, having both worked and studied in Germany’s capital. With his interest in German history and films piqued during his school days, Simon was excited by the prospect that his degree in the department of Modern Languages & Cultures offered him to develop his language skills, explore more profoundly Germany’s history, and see how the film industry in Germany and beyond has been inspired by and use as a tool by various political movements. Simon’s year abroad was spent working for The Berlin Story, a Berlin-based company comprising a publishing house, a Berlin literature specialist bookshop, and a museum documenting the history of Berlin. Whilst working there, he worked on translations, managed the foreign-language section of the bookshop, and assisted with the conception and installation of a permanent exhibition about the history of Berlin. Not only did Simon improve his spoken German during his year abroad, but he made several connections meaning that, on the day after his final examination in Liverpool, he returned to Berlin to start full-time work there. Since graduation, he has had several jobs, including marketing a Berlin-based language magazine, sales for an international business conference event management company, and translating, including for the Berlin International Film Festival, one of the most important film festivals in the world. For someone who studied German and film at university, this was an ideal job! 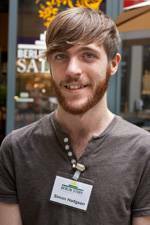 Simon is now studying for a master’s degree in German as a foreign language a Berlin’s Freie Universität. He has recently finished his second semester and has been lucky enough to secure a DAAD scholarship to fund the next semester in Beijing to teach German and German Cultural Studies at Peking University. Simon says that his time at the University of Liverpool was without a doubt the springboard into his career and life in Germany. He remembers vividly how the teaching staff were always there to help his through the trickier moments learning a language can throw at you, as well as to celebrate his successes with him. 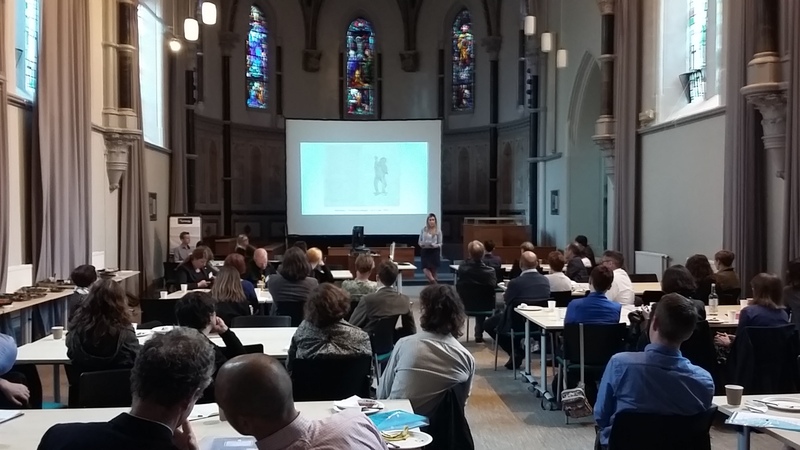 More than 70 delegates from a dozen countries met in Liverpool at the start of the month at the fifth annual conference of ESPRit, the European Society for Periodical Research. In eighteen themed panels, two keynote plenaries, and two lunchtime presentations on digital projects, speakers addressed the theme of ‘Periodical Counter Cultures’, exploring how magazines work as spaces in which innovative and oppositional ideas grow and enter the public domain. 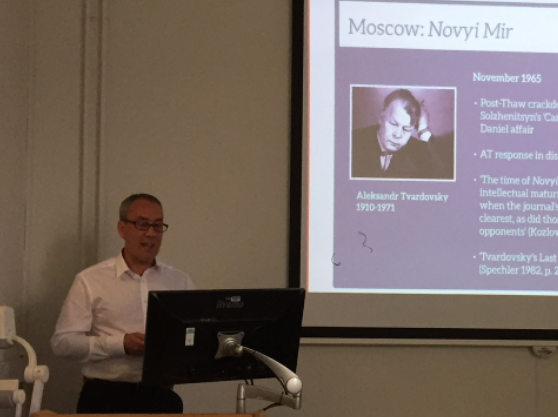 The conference was co-organised by incoming Head of Department, Professor Matthew Philpotts, who presented research from his current project comparing the role of oppositional editors in Communist-funded magazines in Moscow, Paris, and East Berlin in the 1960s and 1970s. Other papers dealt with topics ranging from the late eighteenth century to the present day all across Europe, from Dutch architecture magazines to comic culture under Franco, from the birth of psychoanalysis in Vienna to the French avant-garde. Colleagues from the Centre for Irish Studies at the University of Liverpool led a lively panel on Irish periodicals. The conference also saw the launch of a new peer-reviewed academic journal, the Journal for European Periodical Studies, at the Racquet Club in Liverpool. Professor Philpotts is an editor of the journal alongside editor-in-chief, Professor Marianne Van Remoortel from the University of Ghent and colleagues from the Netherlands and Sweden. Dr Lyn Marven, Senior Lecturer in German, has recently led a workshop on teaching translation for German teachers at Runshaw College, Leyland. Translation has recently been brought back into the MFL syllabus at GCSE, AS and A2 level, and the workshop looked at techniques for integrating translation into language teaching, covering a range of different text types. Dr Marven is a translator of contemporary German literature as well as one of the Modern Languages & Cultures staff involved in teaching specialist translation modules to students, and brought insights from both of these perspectives to the workshop. 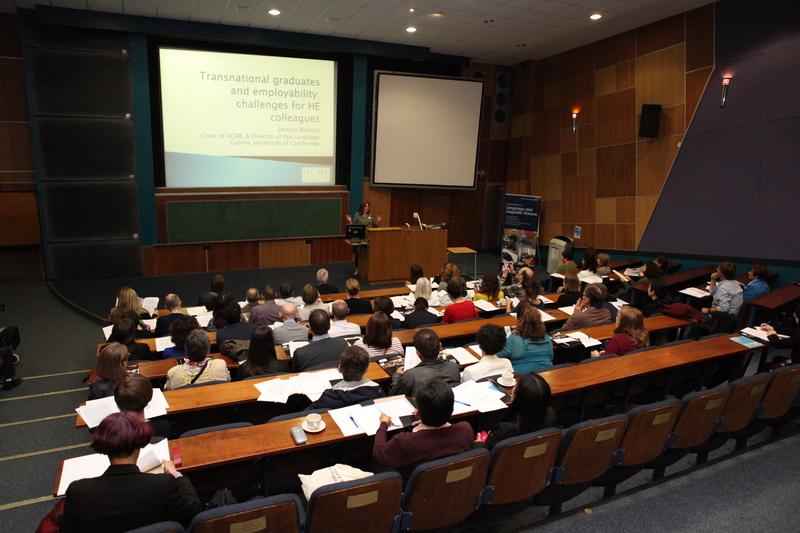 The session started by thinking about what translation is – both from a professional point of view as well as for the purposes of language teaching – then looked at the requirements for assessment at the different key stages at school before comparing how translation is taught and assessed at university. Participants then got into groups to look at sample texts ranging from a short story through a recipe to a humorous newspaper article, to see how these could be adapted for use in the classroom. Issues such as the use of online translation tools and the integration of grammar and dictionary skills proved fruitful points for discussion. This workshop made a potentially challenging subject really engaging and fun! The workshop was organised through the North West German Network, and coordinated by Sally Conroy (Cardinal Newman College) and David Jakubovic (Runshaw College). 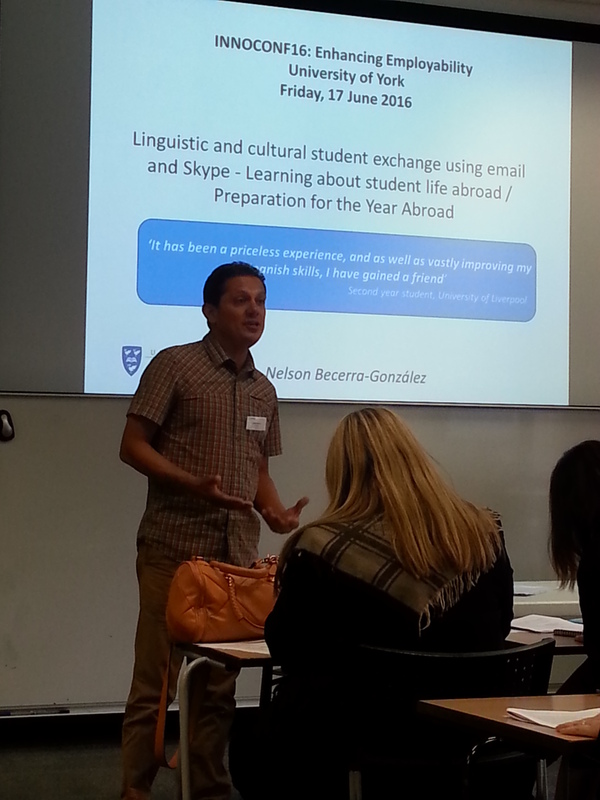 Modern Languages and Cultures hope to roll out further workshops on teaching translation in the Merseyside region and for French and Spanish as well as German: if you are interested in hosting or attending a workshop, please contact Dr Şizen Yiacoup, the outreach officer for the School of Histories, Languages & Cultures. As the academic year comes to an end, colleagues across Modern Languages & Cultures are able to focus on their research activities. Over the summer, this blog will feature a series of colleagues undertaking their research, and today we focus on Dr Jonathan Lewis, University Teacher in French. Dr Lewis is currently writing a book on representations of the Algerian War in literary texts by French authors of Algerian origin. More specifically, the book seeks to evaluate the extent to which such texts might constitute alternative ‘sites of memory’ with regard to the Algerian War, making up for the lack of commemoration of the Algerian War in France. The authors whose works Dr Lewis is analysing are largely representative of what is often termed the second generation of Algerian immigrants, born and brought up in France and holding French, rather than Algerian, nationality. Therefore, they reached adulthood often well after the official end of the war, and their memory of and relationship to the war remains distinct from that of their parents, who experienced colonial Algeria as French subjects and lived through the war as adults. Through their representations of the Algerian War, these authors collect diverse, apparently competing memories and, in doing so, present the full complexity of the memory of the war. In doing so, furthermore, they participate in destabilising and de-centring monolithic, unchanging, and exclusive conceptions of French literature, culture, and the French nation. The book is due to be published by University of Wales Press, and Dr Lewis is working to finish it over the summer with a view to submitting the manuscript by mid-September. The research for the book was conducted as part of his PhD, which he wrote, submitted, and defended at the University of Exeter. Since his move to the University of Liverpool, Dr Lewis has been working on preparing this PhD thesis for publication, which has involved updating and expanding his primary corpus of texts as well as the theoretical frameworks that he is using. 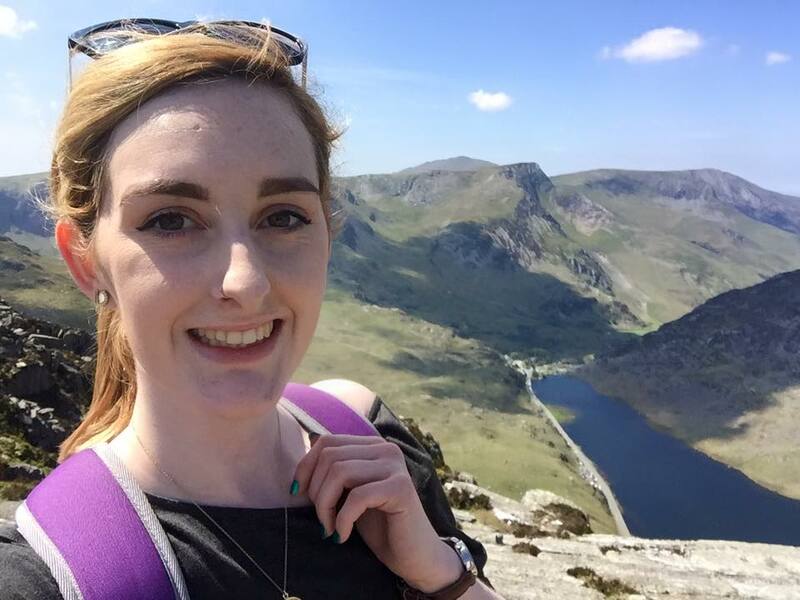 Modern Languages & Cultures student Isabelle Adlam has won a DAAD Summer School scholarship and will spend a month taking intensive German language and culture courses in Heidelberg. Every summer, a number of German universities offer a broad range of three- to four-week language courses which cover several aspects of contemporary German Studies, from its literature and culture, to its politics and economics. Students are encouraged to take part in the extra-curricular activities which run alongside these courses. The grant awarded is €850 and is intended as a contribution to the course fees and living expenses for a three- to four-week summer course. Isabelle came to Liverpool from West Sussex in September 2015 and is currently reading for a degree in Modern European Languages. She is studying French, Spanish, and German. This is a great opportunity not only to improve my German language skills, but also to make new contacts from multiple foreign countries and to learn about contemporary German culture first-hand. The application process for a summer school scholarship in 2017 will open in October 2016 and isare open to all full-time undergraduate students in UK universities who reach the Common European Framework of Reference for Languages thresholds, namely A2 for beginners and B1 for those with some German. Interested students or personal tutors who advise potential candidates are invited to contact Anke Bohm (abohm@liverpool.ac.uk).